We have known for some time that eucalyptus trees are responsible for the eucalyptus nature of some Australian wines, but now the mechanism for the transfer of the aroma from tree to wine is clearer. Dr Dimitra Capone recently presented research (Update: that link was broken for me last time I looked, but there is a later article here) that shows that most significant source in wine comes directly from bits of eucalyptus tree that get collected along with the grapes at the time of harvest. Even for hand-picked grapes, the number of eucalyptus leaves that find their way into the fermentation vats can be sufficient to give eucalyptus notes to the resulting wine. This got me thinking about garrigue, which is often noted on wines from Southern France. Assuming the notion of garrigue in wine is not entirely fanciful, could it be that it gets into the wine as MOG (Matter Other than Grapes) in the same way that eucalyptus does? It seems totally plausible to me. So, do garrigue notes count as an aspect of terroir if they get into the wine as literal bits of garrigue? And what of eucalyptus? 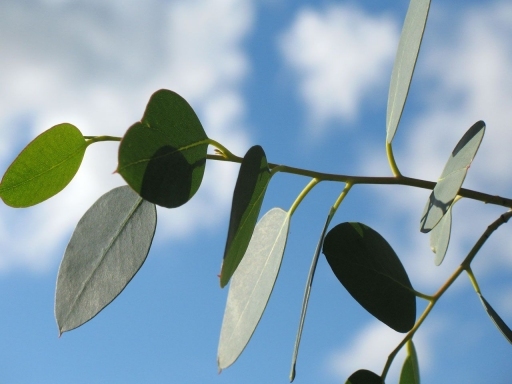 Unlike garrigue, many would say that eucalyptus notes are undesirable, but do not they also help create a sense of place? Incidentally, I also know that at least one elderly Languedoc vigneron in the 1990s deliberately used sage bush to improve the flavour of his wine. I don’t say this by way of exposing a scandal, as the wine was probably mainly for consumption by family and friends, but I suspect if one family did it there were others too. By a broad definition of terroir that encompasses local wine-making practice, you could maybe even construct an argument that deliberately added garrigue is terroir. This entry was posted in General and tagged terroir. Bookmark the permalink.